also become more likely to make you and others in your home ill. The worst problem is that mopping doesn’t do any better. It often forces dirt deep into the grout lines. Therefore, you need to use proper steam cleaners to help with removing what you have from your grout. Most floor manufacturers recommend that you use steam cleaners in between professional cleanings on occasion and that you use a plan to clean the grout once every twelve months or so. This is to help with getting rid of the dirt that is often stuck inside your tiles. This is especially needed if you have plenty of foot traffic in a spot or if you have pets. You should call us at (number) if you have spotted any mold or found any musty spots around your home. This is needed so you can keep the mold from getting to be worse than what is already might be. Mold could impact he air in your home and cause people with allergies or asthma to suffer from serious symptoms relating to their conditions. Our service works to help handle your grout. We start by use a pre-treatment cleaner to lift up t he soil and other materials in your grout. A steam extraction plan is then used to handle a surface with hot water, a detergent and plenty of pressure. A truck mounted power washer will be used to handle water at 1000 to 1200 psi and at a temperature of 240 degrees Fahrenheit. This all works to soften and extract old materials. A vacuum is then used on the cleaner to move the water and dirt away. This is all disposed of in a secure spot in accordance with EPA rules. We use this in our tile and grout cleaning services Houston to keep your home secure without spreading old materials around after the treatment is completed and your tiles have been taken care of the right way. This can help you out with getting your grout to be restored to about ninety percent of its original appearance. However, stains like mustard or red wine cannot be easily removed. These can cause permanent issues on the grout. That’s why we can help with a pigmented seal that can be applied to your surface after it is cleaned. This will help to improve the appearance of a space without requiring you to re-grout anything. A sealant can then be added to the grout. This will keep the grout from being as porous as it could be. This is practically similar to what you’d get out of the DuPont Teflon system for your carpet. It protects your grout from stains and makes it easier for you to clean things off of it. It can even keep the grout from becoming discolored. It won’t take long for our application to dry up either. It takes about thirty minutes for things to dry. The sealant will cure within twenty-four hours. Therefore, you need to avoid liquids in the area during that time. 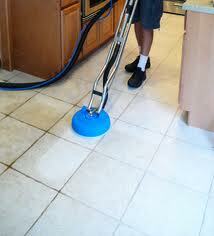 You have to get help from us for your tile and grout cleaning services Houston. 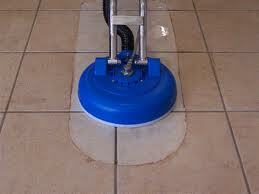 We work well with different cleaning procedures that are dedicated to keeping hard tile floors healthy and beautiful. Contact Us Today for Quality Tile and Grout Cleaning Services Houston!